This entry was posted on May 18, 2013 by Robyn Lee. It was filed under Nature, Spiritual, Spring 2013 and was tagged with beach, care, chair, competence, confidence, dedication, domain, healing, life, life guard, Love, nature, nobility, ocean, photography, poetry, protection, Robyn Lee, security, sky, spirit, storm stillness, trust, watch. Like the soul of the author, beautiful. Always such a perfect marriage of words and vision. Warm thanks Benjamin… your words always mean a lot to me. This was a favorite photo I took in earlier days here. I’d never paid tribute to the lonesome brave lifeguard till now though :). Aww – thank you lovely friend. I am so happy you enjoyed. It’s a favorite shot of mine too – and I’d never written anything to honor it till now. Amazing post from your beautiful heart. Have a wonderful weekend Robyn. Oh Mei – that means so much to me. Thank you for your kind words, and very happy you enjoyed it. It’s always such a treat to imagine where your poetry is taking me, only to end up somewhere else when the picture is revealed! I just love it. You really have a beautiful talent. Well, that’s obviously because you are beautiful. Yes!!! It is like a “Brand”And I love it! Such a fab shot, and you did it justice with your poetry! What a magnificent photograph. It speaks a thousand words. Tersia – I so do appreciate your kind and flattering words. This image did have an impact on me as well! Thank you so much for this wonderful honor Tersia. I am very grateful and, and most flattered. Thank you so much my dear friend. Yes – was a very magical storm that arrived out of nowhere on the beach. This shot was last year (re-run) — Everyone except me and a few other daring souls – and of course the lone lifeguard, cleared the beach immediately — was quite a beautiful sight. Marvellous photography, emerging drenched heart lyrics. Estimado Carlso, Muchas gracias a mi amigo wonderfu. Significa mucho para saber que haya disfrutado tanto el photgraph y el poema. lol I love it, but the ending eluded me until I saw the picture. Beautiful Robyn. “Guard of sea” ruling his throne — a whole kingdom in one picture. Beautiful work Robyn! Love the poem and the photograph is enchancting! You don’t have to apologies for relying late because I embrace the fact that you take the time to reply….Dream a Dream that can be a reality!!!! You bring divinity in every word and scene! an intense thought! Robyn, you have a beautiful blog! Pictures and words that soothe the soul…really happiness forming. Thank-you for visiting today..coming from a mutual friend, you must be wonderful.. like your words that share so nicely. 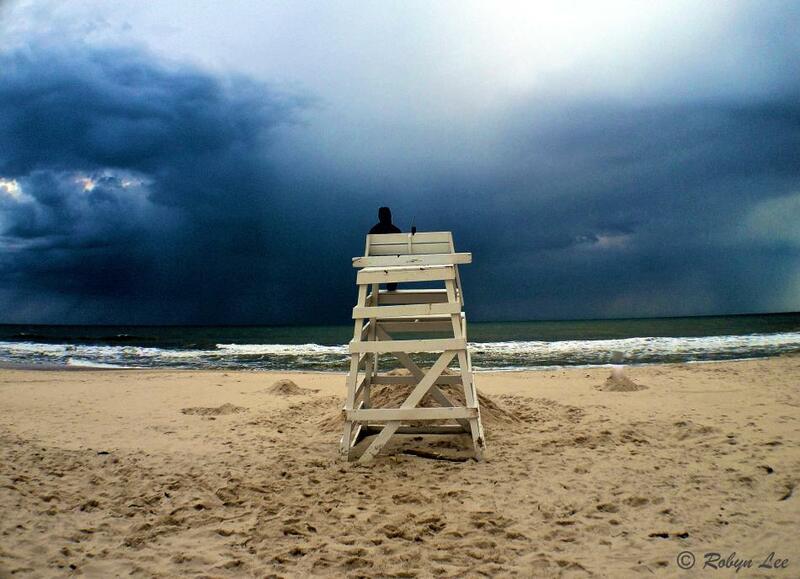 Your very inspiring… I love the ocean, like a cup we are all from… and a lifeguard symbolizing protection. Aww – thank you so much Tara ~ yes it’s so nice to discover wonderful people through other wonderful people here – like a chain of love in many ways. I notice your thoughtful words over on T’s blog and had to click onto yours… of course that brought me even more smiles and joy. I love your analogy above “like a cup we are all from” — I feel the same about the sea! It embodies something magnificent that nurtures us all.